You WANT an HD remake of this game, don't you? Yeah, I would love if this game got an HD remake. Even if absolutely nothing changed but the graphics, I would preorder that game and play it so many times once it came out. Then again, I'm the type of person who gets the third version of Pokemon games and is super excited about every small graphics enhancement, so take it how you will. 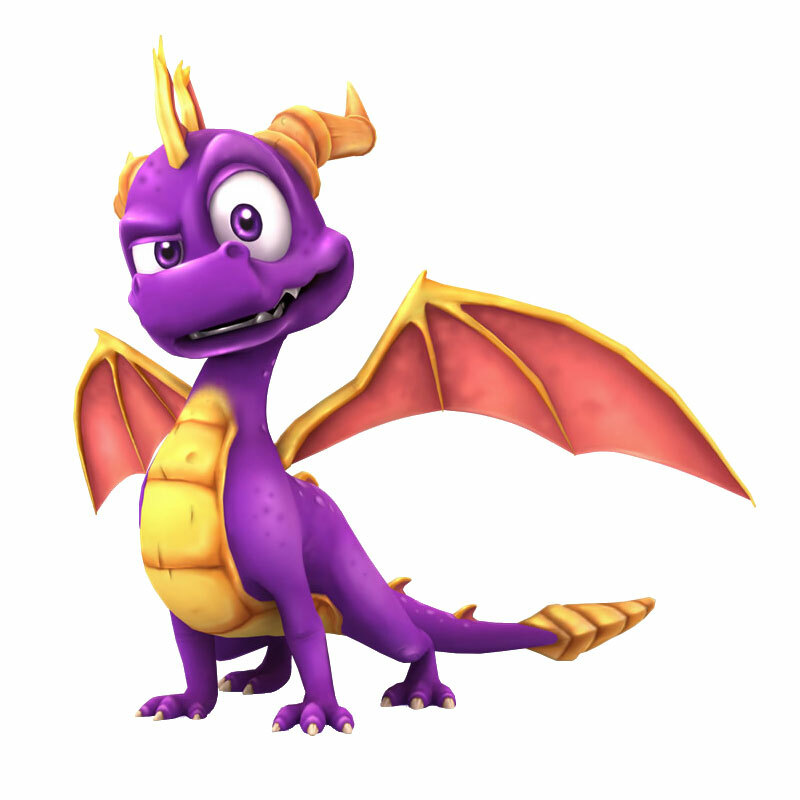 Spyro the Dragon was born in 1998. Back then, the graphics weren't amazing, but they weren't the worst either. That little dude is basically a 90's kid and that's how he should stay. He's called a Classic for a reason. If they were to remake the old games, they wouldn't be classic. They wouldn't be original. They'd be making him into something that he isn't. Remaking the first 3 games would be like remaking childhoods. You can play HD versions on PSN. Complete remake of the Insomnisc era? Hell no. Nah, not really but I would not object to the idea of it though. I'd be very happy, and in all honesty, would take great pleasure in playing it, and seeing the enhanced graphics. But, it wouldn't have the same vibe as the original. You got to love the old graphics for what it is. And they might be able to make Spyro easier to control, as he does feel kind of "slippy" after playing the sequels, so they could fix that, and the camera to be modern, instead of using L2 and R2 to control the camera, they should program it so you can use the right analog stick. I could never understand that back then, why would they give you the other analog stick if you were never to use it, and they had that back then. I'm honestly fine without a HD remake. Unless very significant bells and whistles are added, I don't really see the draw for them if you own the original. I must be honest that in the point-of-view of remaking this game the only thing that should be remastered in HD is the music score. The nostalgic value of this game is invested very much in the graphics and colours of PS1. Only thing that I would love to see changed drastically in a remake would be that they would extend the levels. Let us remember that the majority of our warm feelings towards this game are nostalgia and the way it made us feel back at the days. I think it would be great to see Spyro the Dragon remastered in HD. Much like the Halo game, it could have a button that switches between the old and the new. It would be amazing to compare how it looked back in 1998 vs, how games look now. Also, it would show that even though Spyro the Dragon stood the test of time in regard to how it looks and how it plays, Spyro can always do with an upgrade. Thing is, we can already do this. Emulators can upscale the graphics to near PS2 quality although with low polys and low texture quality. Also, a great example of a graphical comparison is of the PS1 games compared to Enter the Dragonfly or A Hero's Tail. Enter the Dragonfly looks simply beautiful and A Hero's Tail looks and runs amazing. Yeah, but I kinda meant that everything gets finer textures and stuff like that. Rather have a new game. Yes! Or a reboot that revisited the old worlds... He's a special purple piece of our hearts. A pure remake would be a nostalgia boost only prettier, but a new game with backtracking would be better! Imagine, you could go back and save everywhere again, see how things turned out for the inhabitants and play a whole new experience too!!! An HD remake in Skylanders style is my hope, if only because the fan outrage would be hysterical. Since Bianca was more utilised beyond the original trilogy, she'd be the first port of call if they ever adapted the Insomniac characters. Making her anything other than magic is lunacy, so Elora would have to go elsewhere. And not all learned roads lead to magic. I've always seen her as more of a diplomat, and the Skylanders already have quite a few of those in their ranks across a spectrum of elements. I can't say as I agree with you Burning Gnorc, since Moneybags has already been reimagined and included in Skylanders as Auric. Zoe, too (as Persephone). An HD remake would be amazing IF done right, if it was like the Ratchet and Clank Trilogy for the PS3 I'd be happy. All it needs is remastered graphics and sound. Anything else isn't needed. Unfortunately this will never happen as Insomniac own the rights to the original 3 games, but not the Spyro Franchise. So they would need permission from Activision which knowing them would never happen . But even with an HD remake nothing will beat the grainy 4:3 PS1 originals. Its even better when played on an old CRT from the day (which I still own for playing older games) . ^ Insomniac does not own any part of the original trilogy. Sony/Universal has always been the franchise holder in every way until the ActiVision merger. That's what owning a franchise means: you own all the parts of a series, past, present, and future. 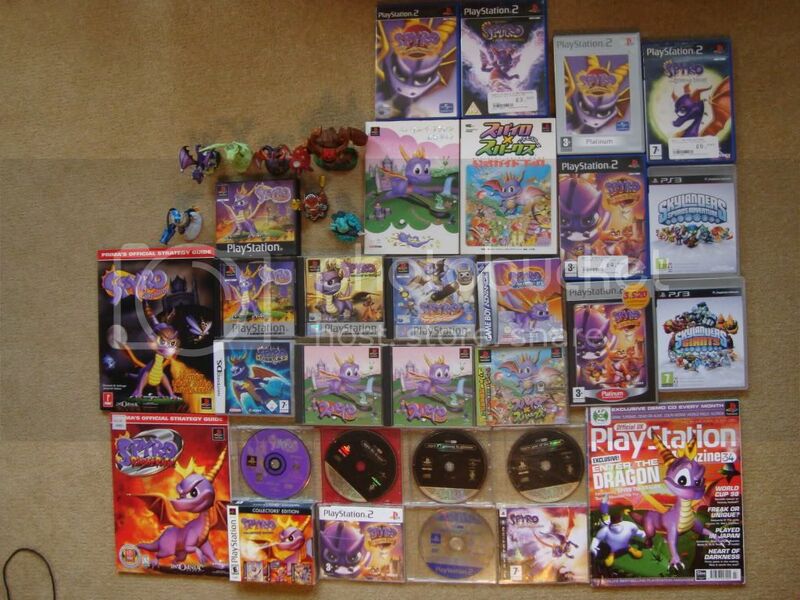 Right now, ActiVision owns all of Spyro. The Ratchet and Clank Trilogy for PS3 was horribly executed, with numerous graphical/rendering glitches (mostly clipping), and Ratchet: Gladiator/Deadlocked even more so. Insomniac are not to blame, though, since Idol Minds were the ones who made the ports of those games. No, if anything, they should be handled like the Jak & Dater Trilogy, or even better, Kingdom Hearts I.5 (and the upcoming KH II.5) - Both were made by the original companies, and KH I.5 even updated the controls of KH1 to utilize the improvements of the sequels (most noticeably, changing camera control to the right-stick). And, like someone mentioned, Spyro the Dragon would benefit from updated camera controls. About that Jak & Daxter part...Mass Media actually upgraded it. Huh... Never noticed. Mostly because they didn't shove their logo in my face every time I start up one of the games, like Idol Minds did in R&C Trilogy (that easter head hum annoys me every time). Kudos to Mass Media for a job well done. I'd love it, but it isn't gonna happen. Sadly enough there's still more chance of HD remakes happening than Sony putting the trilogy available for US Vita players. No remakes or actual changes to the game, but I'd love a physical copy of the original Spyro trilogy for newer consoles, or something like that. I completely agree. I've played the original Spyro games a couple of times at a friend's house, but I can't play it at home because I have a Wii.